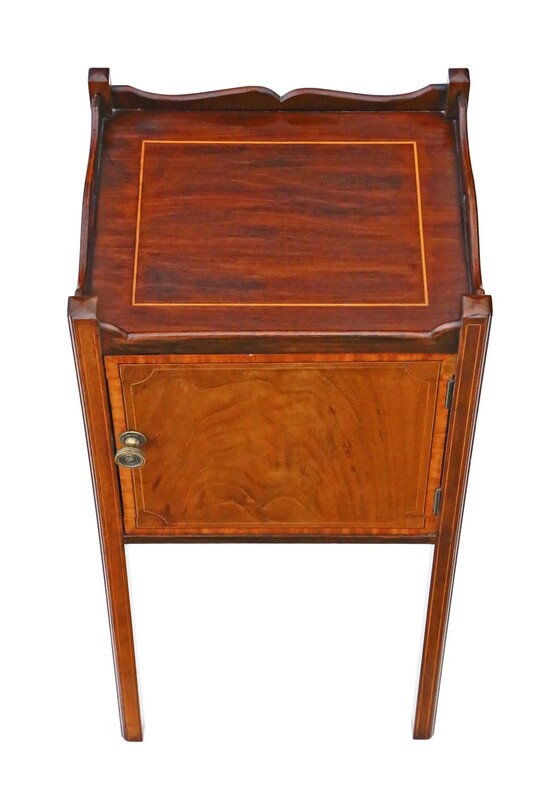 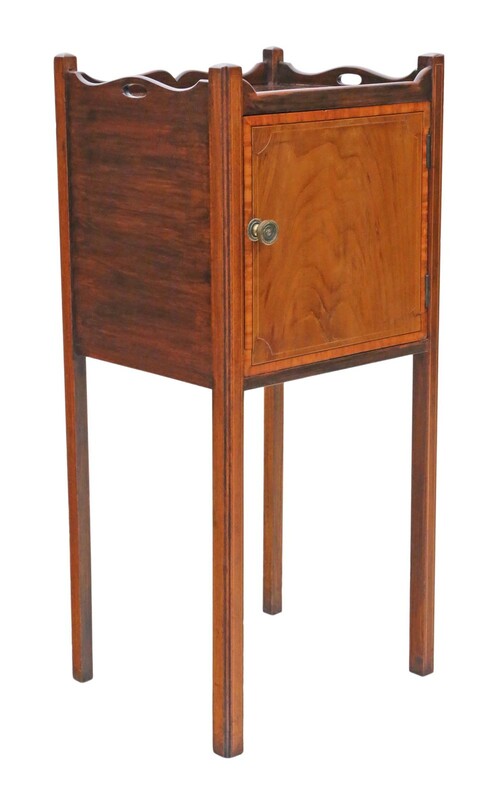 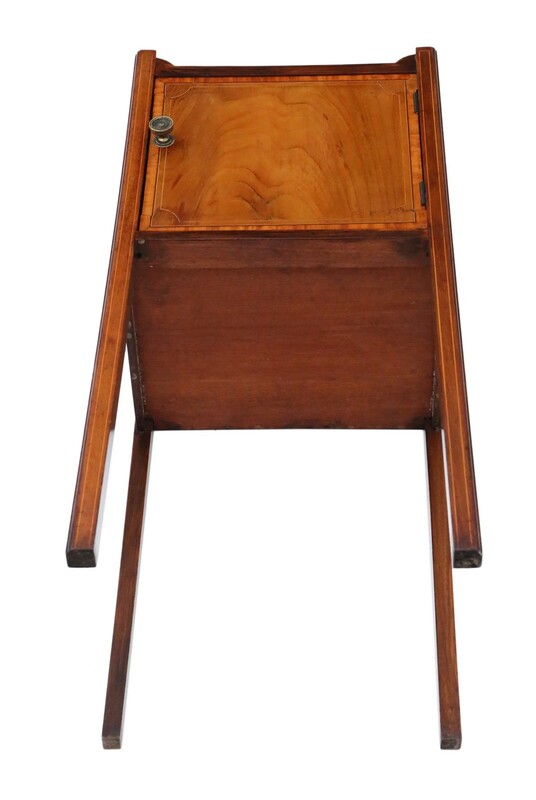 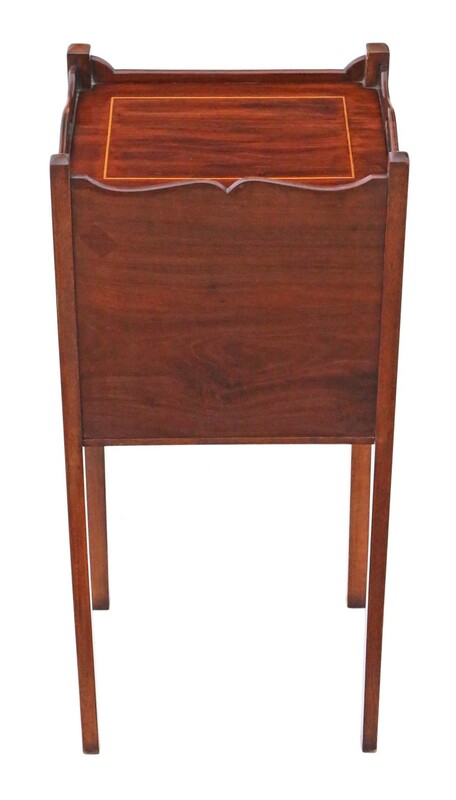 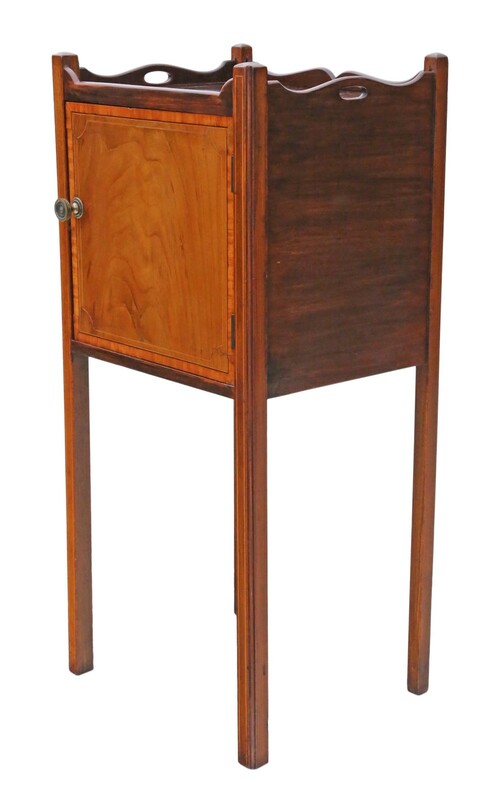 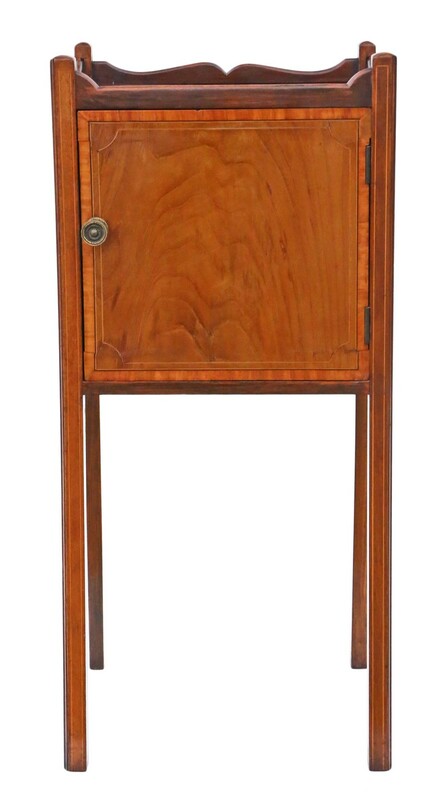 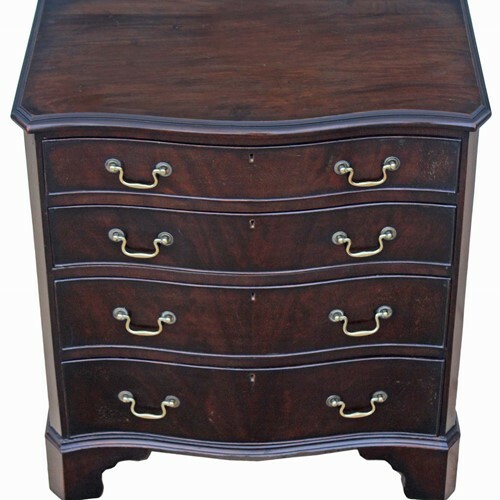 Georgian revival C1905 mahogany tray top bedside table or cupboard. 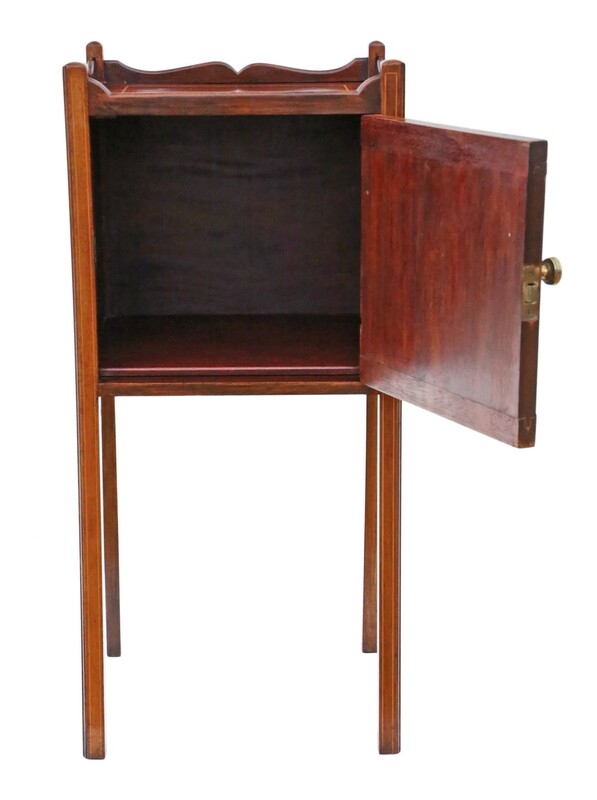 No loose joints and no woodworm. 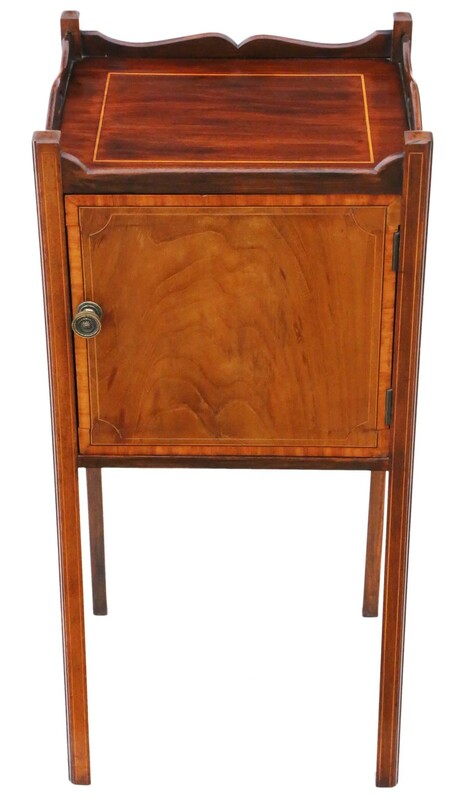 Full of age, character and charm. 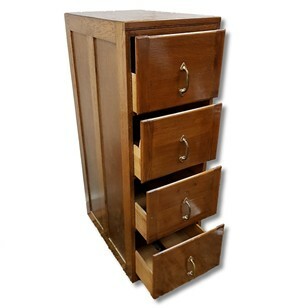 Overall maximum dimensions: 36cmW x 30.5cmD x 78.5cmH.